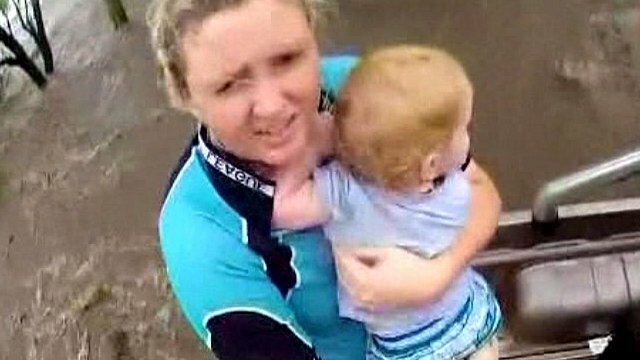 Toddler winched to safety in floods Jump to media player A young child and two women are airlifted to safety from their flooded car in the Australian state of Queensland and a man is freed from under a drain cover by fire and rescue crews. 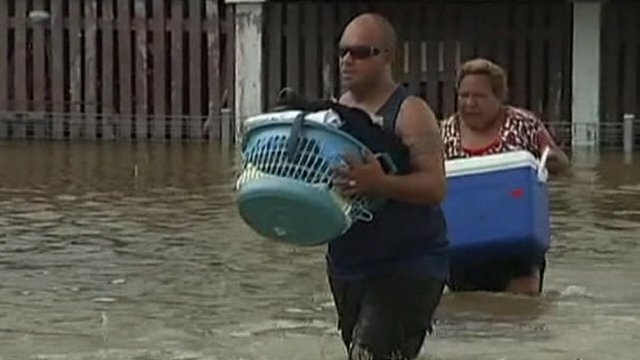 Floods cause chaos in Queensland Jump to media player Three people have died and hundreds of homes are under water after heavy rain brought flooding to parts of the Australian state of Queensland. 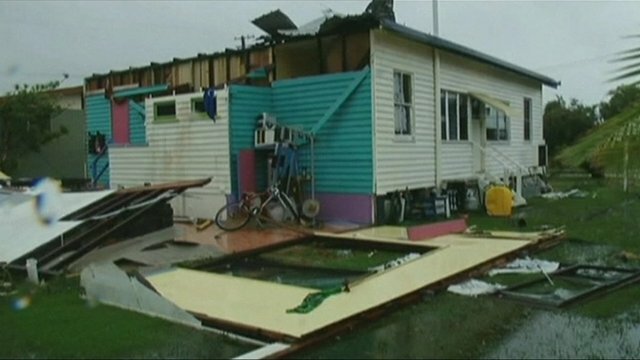 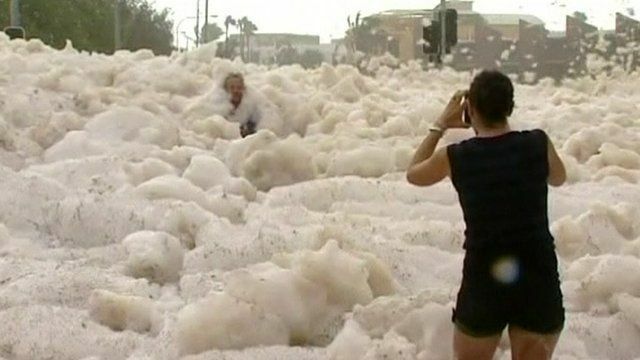 Cyclone aftermath hits Queensland Jump to media player The Australian state of Queensland is on alert for more tornadoes and flooding. 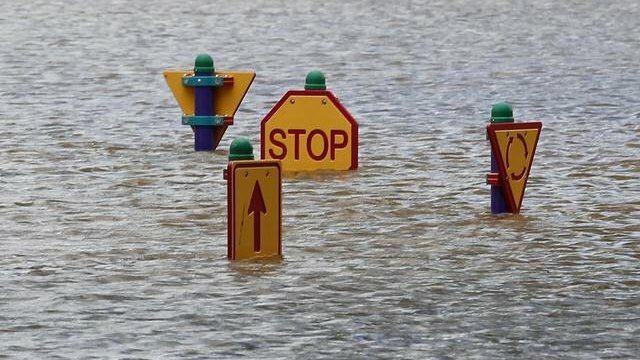 Tornado and flood alerts in Queensland Jump to media player New tornado and flood alerts have been issued in the Australian state of Queensland, which is still recovering from Cyclone Oswald.